I'm kind of new the waffling game but last year when my friend Sarah said she didn't want her waffle iron anymore, I gladly took hers off her hands. I've manage to use it only twice in the past year but before the movers came to take my stuff, I decided to use it one more time in my Houston kitchen. Since I'm not much of a sweets-for-breakfast-type person, this article on savory waffles was well suited for me. I went with the zucchini waffle recipe and they were so filling and delicious. Since they needed a syrup substitute, I decided a runny yolk from a sunny side up egg would be perfect. No waffling for me for a couple weeks while I wait for my goods to get delivered to me in Kansas City but I'll look forward to my next batch of waffles. 1. Preheat waffle iron and spray with nonstick cooking spray. 2. 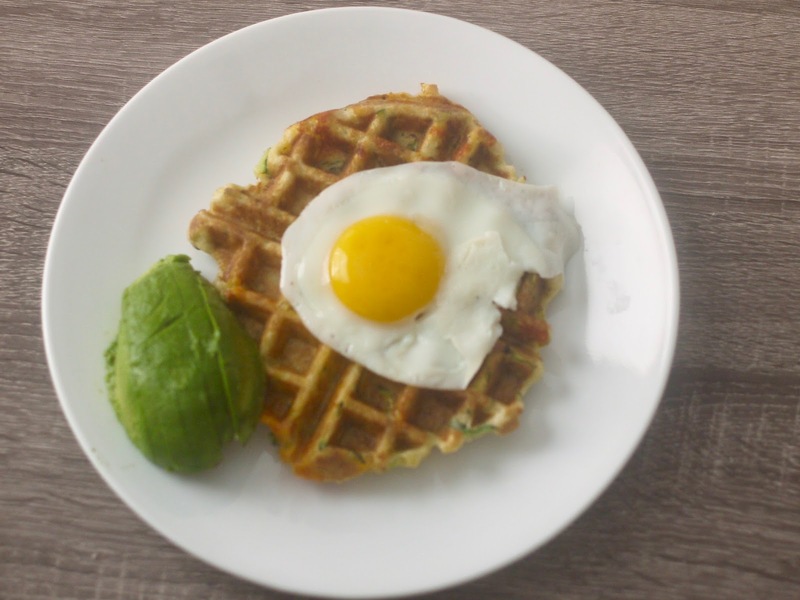 Follow the waffle recipe above and then gently fold in grated zucchini and shredded cheese to the batter after adding in the egg whites (after step 5). 3. Add a 1/3 cup of the batter into the waffle iron and cook for 2-3 minutes or until it stops steaming. 4. While waffles are cooking, cook up sunny-side up eggs in a frying pan. 5. 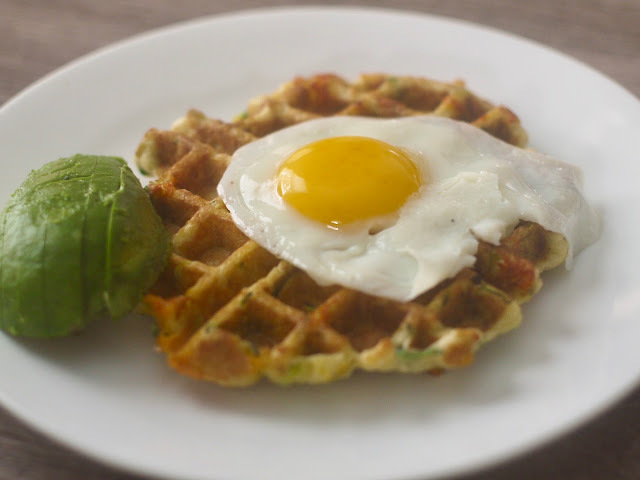 Top waffle with egg and sliced avocado.